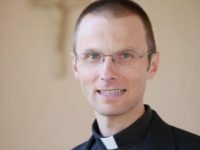 The following is the text of an article written by JESC’s new director, Peter Rožič SJ, which was recently published on the website of the Social Justice & Ecology Secretariat (SJES) for the Society of Jesus. This is a short story of a relatively young and happy Jesuit scholar who did not plan to return to the social apostolate. After a period of joy and labor in the field of academia, education and coaching, I did not expect to receive the call to the coordination of social service and research in Europe and the Near East. The first response was a mix of interest and disquiet. The Challenge of Sharing. Sharing faith and life is something we Jesuits do relatively often and with joy. But this time I found myself uneasy. I was asked to write a short narrative with the aim of being introduced to the people of the Social apostolate as the new delegate to the European Conference and the head of the Jesuit European Social Centre (JESC). I wondered how to write something relevant to so many of our brethren who toil among the poor since I have not been involved in such work in some time. My experience with those who go unnoticed or are disadvantaged has been limited due to the constraints of the work in which I had been previously engaged. Yet, I could not to decline the invitation, for two reasons. First, I can only share what I have been given. I cannot share what I would have wanted to have or possess but do not. While I may have feelings of inadequacy, I do trust the power and grace that come through accepting a mission and I believe in it. Moreover, while I find myself perplexed by the unexpected mission, I am eager to do my best to advocate for those who yearn for justice and reconciliation in God and for those who labor to help satisfy this yearning. Second, I think most Jesuits like challenges. We speak of “creative tension” (GC34, 11) in tandem with “creative fidelity” (GC35, 4). At the 35th General Congregation, Pope Benedict reminded us to “reach new social, cultural, and religious frontiers” as we “faithfully help the Church” in its heart (GC35). Pope Francis expressed this in even starker terms: “The Society of Jesus is an institution in tension, always fundamentally in tension” (2015). It is the fruitful tension of contemplation and life in the world as “men for others.” It is the tension between trust in God and the use of our talents. These and other tensions often bring us great vitality. Experience and Inexperience. I spent most of the last fifteen years in academic life: studies of philosophy and theology in Ljubljana and at Centre Sèvres; PhD work in political science at Georgetown University; research, teaching and administrative work at Santa Clara University; setting up an international education foundation; setting up a student residential college in Maribor; setting up and heading a research institute in Slovenia while also teaching political philosophy; serving as a local superior. While there were important interactions with the poor, my mission, thoughts and desires were elsewhere. Looking back, I now realize that many of my academic activities were based on my social encounters with those in need or in conflict: working with the poor at the Jesuit Refugee Service (JRS) in Slovenia; serving people in dispute resolution as a mediator at the San Jose County Court in California; and my family. My family. Among the many things that I learned from my parents is that despite the difficult circumstances there always is a chance for us to rebound from failure, conflict or shame to embrace life through trust and perseverance. I was born into a lower-end middle class working couple who were unmarried at the time. Against the advice of many to abort the child, my school drop-out adolescent mother decided to keep me. Just before I was ordained to the priesthood she told me that in her pregnancy she offered me to the Lord while praying to Our Lady. Shortly after I was born, my parents got married and gave life to Robi, a great brother, and now father of four boys. Neither of my parents finished high school by the time I entered one. Later, however, they both finished their studies. As a young couple, they also rarely went to Church: being a believer in communist and post-communist regimes was not popular, to say the least. Later, however, my mother found herself teaching religion and my father leading the Sunday rosary in the parish church and assisting a prayer group for vocations. The poor of the conflict. My story is also a story of conflict. There has been conflict in my home region (the Balkan wars) and in my home country (communist past). These conflicts have generated their own poor, impoverished of peace, justice and even lives. Reacting to the conflict, I initially behaved as a conflict avoider and placater. Joining the Jesuits, however, I gradually came to embrace what we now see as our “Mission of Reconciliation and Justice (GC36, 1). 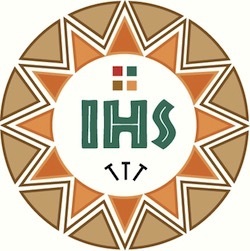 When I entered the Society of Jesus, I thought my talents and future mission would consist of mostly spiritual work. Yet, what intrigued me even then was the call to the mission of reconciliation through dialogue. I began to desire this dialogue, even if that required entering the pain of the troubled past and dealing with conflicts in order to resolve them. Justice “en mouvement.” The work for illegal migrants and refugees in Slovenia was decisive for me during philosophy studies and regency. We served many refugees through volunteer and other work as we established the JRS office to become more professional in, for example, training the volunteers or the police. However, what stroke me most in this work were not our institutional achievements. It was the simplicity of playing with children at an impromptu kindergarten we set up at the detention center: the accordion, the guitar and dancing brought children and their parents much solace. Or, I greatly enjoyed sharing modest meals with the detainees. Or, I took pleasure in preparing a concert of classical music behind the bars of the detention center. Or, I was deeply moved when the policemen and the Jesuits (some of which had been persecuted by these same policemen during communism) sat together at a roundtable during a regional JRS meeting in Slovenia in order to help the migrants together. These were instances of justice that was healing, restorative and dynamic. With this experience, I embarked upon the study of conflict and politics in order to better understand justice mechanisms and to promote reconciliation. I entered the academia. I did research, I published in scientific journals, I lectured and I built bridges between the academia, education and society. This year, the Society decided to send the scholar (back) to the social apostolate. While I loved my previous work and feel sad to leave it, I also look forward. What continues to elicit my passion for justice and reconciliation are not just grand theories, albeit important, but the people I meet and work for. Among these are, for example, the students and young people with great potential – especially those deprived of opportunity. Or, the people robbed of dignity because of corrupt politics or economy. Or, the children imprisoned in detention centers. Or, those who fight for justice but often use wrong or sometimes harmful means. Or, business people who are diligent in making great profit but often forgo their spiritual growth to the detriment of themselves, their employees and the environment. Or, the youth or parents enslaved by modern technology and so-called “social” media that reduce them to the “likes” of a computer algorithm. In brief, what kindles my interior fire is the work of liberation from different forms of slavery through the mechanisms of holistic justice and reconciliation. Instead of concluding. During my twenty years in the Society, I have received and conveyed many blessings. I have lived and worked with exemplary fellow Jesuits and I met and served incredible people in the Vineyard. As I now enter the unexpected call to social ministry, I pray that our work for truth and our labor for justice continue to enrich us so that we may yield much fruit and serve Him, reconciled, in the many brothers and sisters of this world.